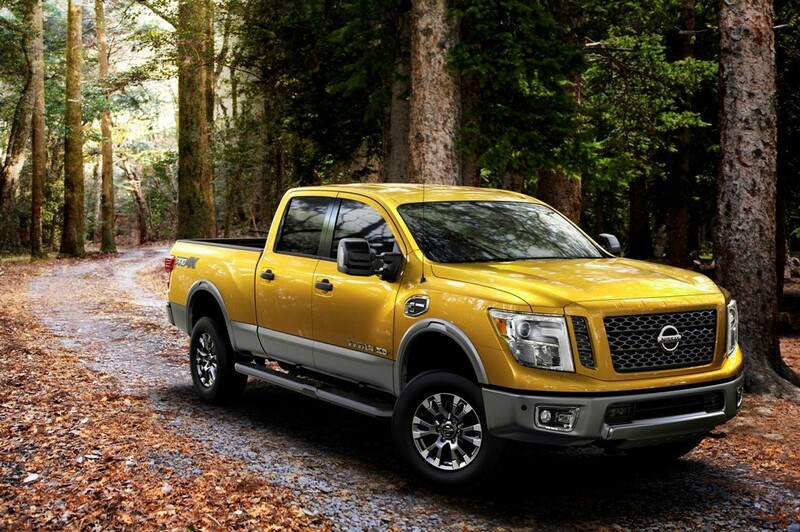 The Nissan Titan has been stagnant for a decade, but the company is making a dynamic new push to lift its fortunes with the introduction of the 2016 Titan and Titan XD full-size pickups at the Detroit Auto Show this morning. It will also be shown at the SHOT Show later this month — Nissan is the pressroom sponsor of that event. Could it be that, by closely watching the progress of its competitors, the company is going to jump ahead of some? Whether it can it take market share from the Big Three remains to be seen. Ford has won NAIAS Truck of the Year with its 2015 F-150, and the Silverado/Sierra newbies were introduced in 2014. (GM won Truck of the Year honors that year.) In addition, Nissan is entering the diesel full-size segment with a Cummins 5.0L V8 TurboDiesel for power. Today, Ram is the only one to offer a diesel in a full size vehicle, and it was Truck of the Year in 2013. The Cummins relationship was not unexpected. At the Chicago Auto Show almost two years ago it was announced that some Frontier models with diesel engines were being broadly road tested nationally. It was only logical that a new Titan would also carry some Cummins DNA into the market. 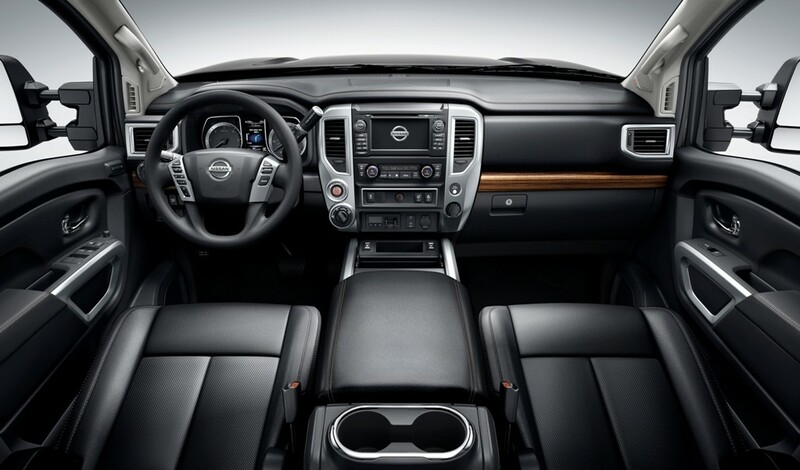 Nissan promised more information to come and only showed the XD crew cab, its heavy duty version, at the Auto Show. It was gutsy of CEO Carlos Ghosn to say that “we weren’t going for ‘Best in Class’. Instead we are offering ‘Best New Class.’ This from a company that has not invested heavily in its trucks while competitors have introduced one or two new generations in the interim. 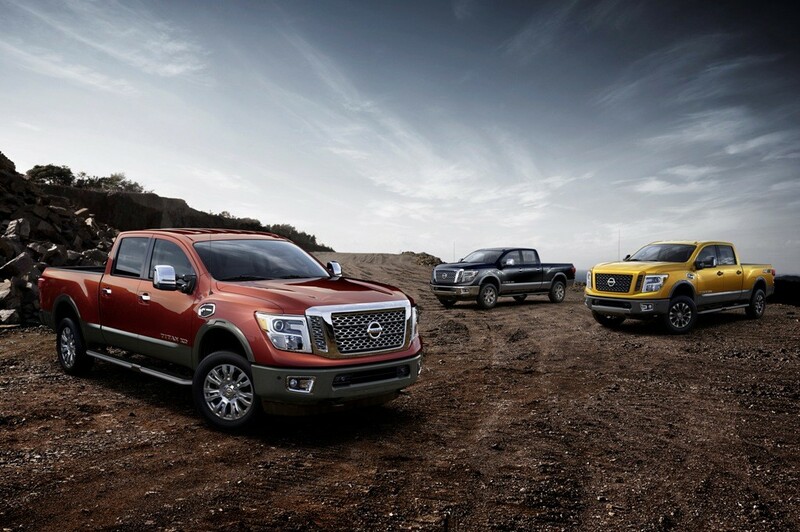 Among truck makers in North America, the Titan has been a distant fifth in the field of five, as a result. That said, the new Titan, especially the XD, could be exciting for the company, which has better truck sales in Mexico and Latin America than it enjoys in North America. Since hiring former Ram president Fred Diaz away, it was expected to make a big splash in the full-size and mid-size truck segments. Diaz was also Chrysler’s CEO for Mexico and he knows that market well. I see his hand in the Cummins relationship and in the interiors and features on these new trucks. The reason that Nissan probably opted to show the XD version well before it is available is that it will carry most of the features — including a new chassis — while the standard Titan will be built on a modified version of the current chassis. While no official mpg ratings have not been mentioned, they will probably be comparable to those of the Ram 1500 EcoDiesel at roughly 20mpg city and 28 highway. Nissan is saying that the TD, when properly equipped, will tow 12,000 lbs. 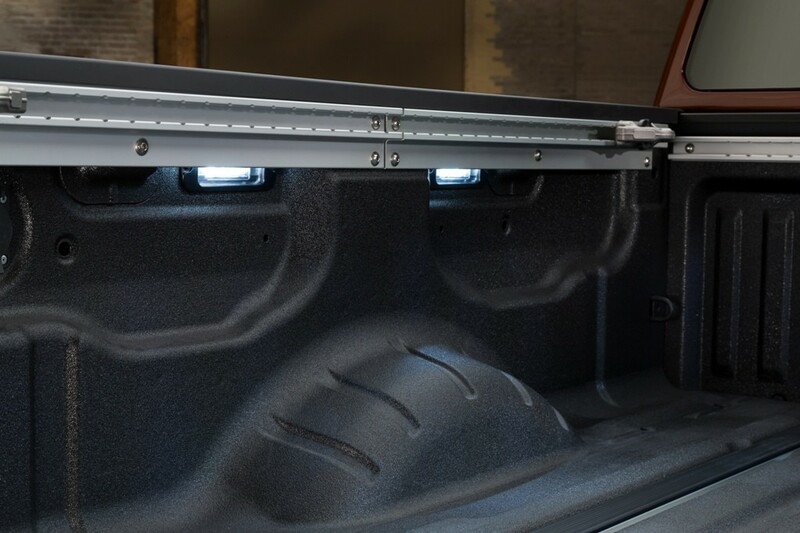 There will be three cab configurations, two frame sizes and five grade levels, as well as three powertrain options: the Cummins turbo diesel (310hp, 555lb.-feet of torque)and two others including the company’s first V6 in the full size class. 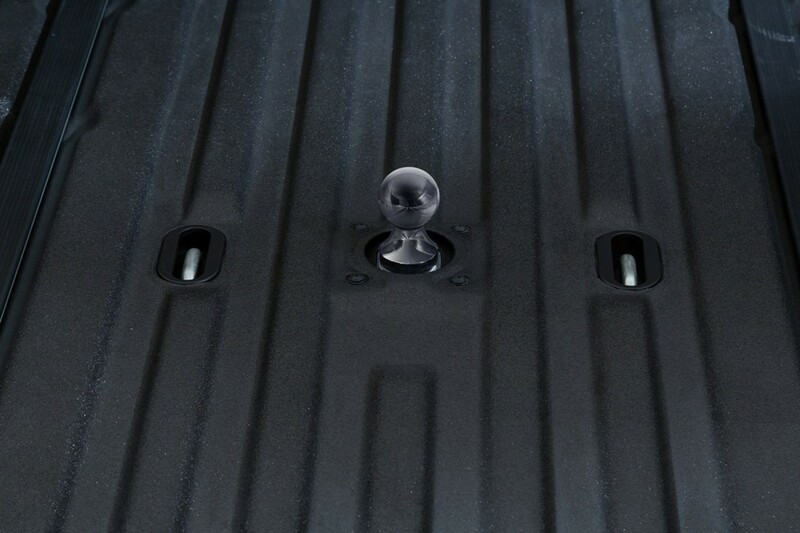 Other available features on the XD include rearview monitor with trailer guides (already available on some competitors pickups) and a trailer light check system — a feature that could have been a factor in Ford’s Truck of the Year win. Also available is an integrated factory-equipped gooseneck engineered into the frame. No word as to whether this is standard or an option. The new Titan is gorgeous inside, competing with the best of what the others offer, especially at the high end. They are enough to draw buyers into a Nissan showroom when combined with the powerful exterior looks and features. Prices were not given, but the new Titan will be available later this year, as will more details on the full line offering. Once the Titan is officially launched, I expect a new Frontier will not be far behind. 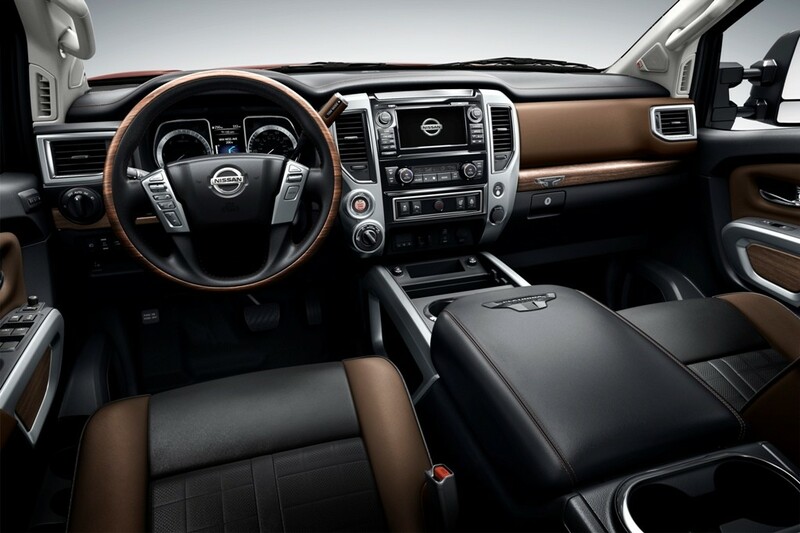 I have always been a fan of Nissan’s Pro4X vehicles and expect the new Titan — especially in the off-road version. Later today, Toyota will be showing it’s new Tacoma so it is a major day for trucks in Detroit.